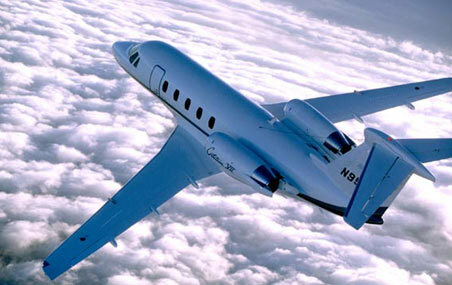 Aircraft information: The Citation 650 is a midsize high performance business jet. The first flight of the Citation III jet took place on May 30, 1979 and the prototype was certified by the FAA in April 30, 1982. The first delivery of the Citation III to Arnold Palmer was in 1993. After a production run of 202 aircraft, both the Citation VI and VII were introduced in 1991. There are 39 units built of the Citation VI, and 113 aircraft of the Citation VII series. There are currently over 354 aircraft delivered. The aircraft set multiple class records including 2 climb records, and an overall speed record. The aircraft production was ended in 2000 when the last Citation VII had been built. PJT is well known within the Aviation Insurance community and can proudly say its courses are approved by all major carriers. This CE-650 type rating course leads to the Pilot in Command type rating. This type rating will be added to a FAA Private, Commercial, or Airline Transport Pilot license. This CE-650 type rating course meets the FAA Type Ratings practical standards (which is the same as the ATP practical test standards). Upon completion of the practical test, a Pilot in Command type rating (for PIC type rating) will be added to your FAA license. Since the practical test and check-ride is completed in the aircraft, there will be not be any restrictions on your license. Did you know that the Cessna Citation Mustang was the first jet aircraft certified and equipped with the Garmin G-1000 avionics package. Get your CE-650 type rating now! This CE-650 type rating course leads to the Second in Command type rating. This type rating will be added to a FAA Private, Commercial, or Airline Transport Pilot license. This CE-650 type rating recurrent course meets the FAA type ratings practical standards, and the requirements of 61.58. Upon completion of the FAA Check-ride, a 61.58 endorsement and a recurrent course completion certificate will be issued.